Six Impossible Things Before Breakfast (Teaching Under the Big Sky): Rats, the Perfect Classroom Pet? I know what you're thinking...rats are the perfect classroom pet, are you crazy? You might also be thinking ewww, or yuck, or they seem kind of cute, but the tails, no thanks. You might have a bunch of questions about rats like: Aren't they dirty? Don't they carry nasty diseases? Rats are mean, right? Should rats even be around kids? I have to be honest and tell you that I had a similar reaction when the idea of rats as a classroom pet was first suggested to me, but it turns out my preconceptions of rats were all wrong. We had just finished reading I Wanna Iguana by Karen Kaufman Orloff.If you haven't read the book to your class, you should. It is funny, engaging, and has hilarious illustrations that the students adore. It also is an excellent example of how to write a persuasive letter using different forms of persuasion. The story is about a little boy who persuades his mom to let him have his friend's iguana as a pet through a series of letters. I had my students write me a persuasive letter last year persuading me to get a classroom pet. We didn't have a class pet at the time, and based on my students letters, we got two pets, a beta fish named Percy, and a black mystery snail named Lord Hades. They were excellent classroom pets. They were quiet, cheap, easy to take care of, and they didn't smell bad. Well, at least Percy didn't. Snails actually sort of smell bad when they live in a fish bowl, even when we dilligently cleaned the bowl once a week. The biggest problem with both Percy and Lord Hades was that they really didn't do much, the students couldn't really interact with them, and then they had both just died. Perfect I thought, we will write another round of letters and replace our dead pets. Only I didn't anticipate the kindness and concern of my students. One of my 3rd grade boys was so worried about the loss of our fish and snail that he went out over the weekend and had his generous parents buy us replacements. Problem solved, I thought, but the rest of the class was not convinced. What other pets was I going to get? They had just written their letters, and now there was no need to get another fish or a snail. I couldn't reneage on my promise. I had told them if they wrote the letters I would get them a new class pet. Hmmm...I needed to do some research. Luckily I had an animal expert coming into my classroom once a week. Animal Wonders, an amazing, exotic, animal rescue group was teaching my 3rd graders about animal classificiations, life cycles, adaptations, survival, and more by bringing in a variety of animals they had rescued into my classroom and teaching us all about them. I asked Jesse Castaneda, who runs the program, her advice. She had plenty of experience with animals. Animal Wonders takes care of porcupines, foxes, a dwarf bunny, small snakes, and big snakes, raptors, parakeets, a cavy from South America, a blue tongued skink, and many more. Surely Jesse would know what would be the best pet. Her answer, however, was not was I was expecting. I was thinking she'd suggest a cute bunny, tiny box turtles, or a gerbil or hamster. Jesse said hands-down her number one choice for a classroom pet would be rats. Rats? I needed some convincing, and hear is what I found out. First of all rats aren't dirty at all, they are very clean animals. They groom themselves much like a cat. In fact they groom themselves more than cats do everyday. I think it is kind of funny because rats must think that humans are pretty dirty creatures because every time we handle our classroom rats they go into major cleaning mode as soon as they get back in their cage. Apparently, the oil on our skin bothers them, and must be thoroughly washed away as soon as possible. If you have rats you will soon see how much time they spend cleaning themselves and each other. The side benefit of all of this cleaning is how adorable they look cleaning their faces and whiskers. Rats can also be litter box trained. If you put a litter box in their cage, it is really easy to clean everything up. They also don't smell bad. I would describe their body smell to be similar to a cat. My classroom does not have the pet smell I was scared that rats would bring. The only time a rat smells bad is when their cage hasn't been cleaned. This, according to Jesse my animal expert, is unlike cute, fluffy bunnies. Bunny urine is very potent and super strong. 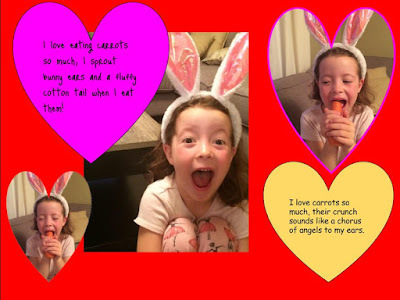 If you want your classroom to stink-get a bunny. Just like domesticated cats, dogs, horses, etc. are different than their wild bretheran domesticated rats are too. Rats have been domesticated for quite some time. Back in Victorian England a rat was considered the perfect pet for a young lady. So while you don't want to cuddle and kiss a wild rat that you find in a sewer, the pet rat you purchase from a pet store or a breeder isn't going to make you or your students sick. Turtles on the other hand carry salmonella. It will exist in turtle feces for their whole lives and continually be a part of their water and aquarium. Students should not handle pet turtles in the classroom. Rats don't cost a lot of money to buy. They range from anywhere to free to about $12. Places like Craigslist, or your local humane society often carry rats. Large chains like Petsmart and Petco also sell rats. However, due to some breeder changes they don't sell rats in Montana any more. I got my rats from Jesse at Animal Wonders, but there are also lots of breeders in any area if you search them out. Pip as a tiny kit. The intial cost of the cage might be a little expensive. You need a cage that has 2 full levels, 3 is better and is at least 24"x24", or 32"x18". A good cage will cost between around $60-200. I purchased mine by applying for a Donor's Choose grant, but I have seen lots of cages on Craigslist for around $50 to $80. Rats eat a rodent lab block that contains all their nutrional needs and is low in cost. They also need a water bottle, I recommend a glass bottle so that your rats don't chew through it. Since rats like to burrow and need a hiding place to feel comfortable, you might want to purchase a soft place for them to cuddle like the bear hammock my rats have, or just buy scrap fleece at a craft store and cut it up and let them play with it and under it. Rats are rodents, which means their teeth are constantly growing. Rats need something to chew on. You can buy wooden toys and chews for your rats, but they also love chewing cardboard.If you have an extra box lying around, or an empty Kleenex box, you have an instant rat toy, and your rats will love it. I buy most of my rat accessories, cages, and toys from Amazon. I would recommend reading the reviews of the products because they gave me great ideas, and gave me a good sense of what products would work best for rats and which ones wouldn't. This rat video shows amazing rat tricks. **These are not my rats. Rats can be trained to do all sorts of tricks. They come to their names when they are called. They will fetch a tiny ball, they can turn around in circles, or stand. I've even seen them deftly conquer small obstacle courses. In a way, they are like little dogs. Rats are also sociable. 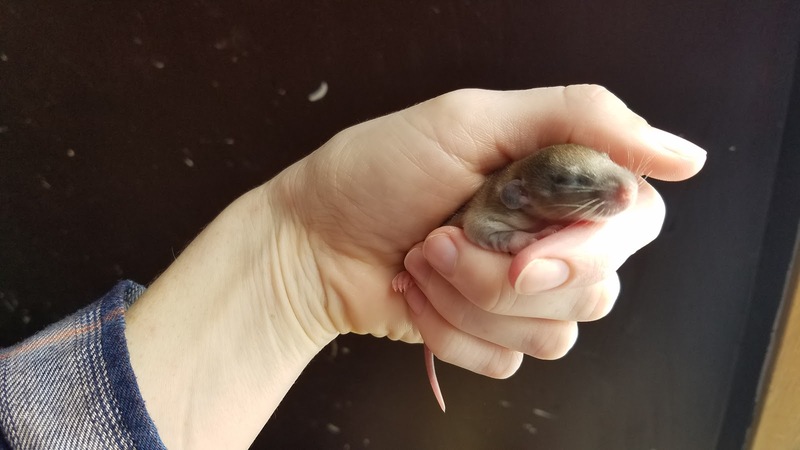 They enjoy cuddling and interacting with the students and each other.By the way, if you are going to get rats as a class pet or as any type of pet for that matter you must have at least two rats. Rats need companionship, and even though they enjoy human pettings and snuggles they require a rat buddy to play with, groom and socialize. Rats also don't tend to bite. They are gentle and curious about a hand in their cage. I have found that our rats will sniff our hands, take food from our hands, and sometimes even lick our hands, but they won't bite them. I have been bit by my pet cats and pet dogs, but never by my rats. That doesn't mean that a pet rat won't ever bite, but as a general rule they don't. Domestic rats have been bred to be used in experiments, or as companion pets. Therefore, a docile, friendly nature is a quality that is bred for in rats. The rats have garnered a ton of classroom engagement. Two students play and handle the rats each recess. Students clean the rats' cage and feed the rats. The rats have been the subject of many classroom poems and creative stories. For a STEAM activity, the students created enrichment mazes, boxes, and toys for the rats to interact with out of cardboard. The beginning of a three-level rat maze. My students have also become rat ambassadors. They teach students in other classes, other teachers, guests to our classroom, and their parents all about the misconceptions people have about rats. I have watched my students teach countless guests in our classroom how to hold the rats, what kind of rats we have, what rats like and don't like, what kind of habitat they need, and even show them how their tails aren't hairless as most people think, and how they really don't feel icky at all. The best part is watching students teach their parents to give the rats a chance. 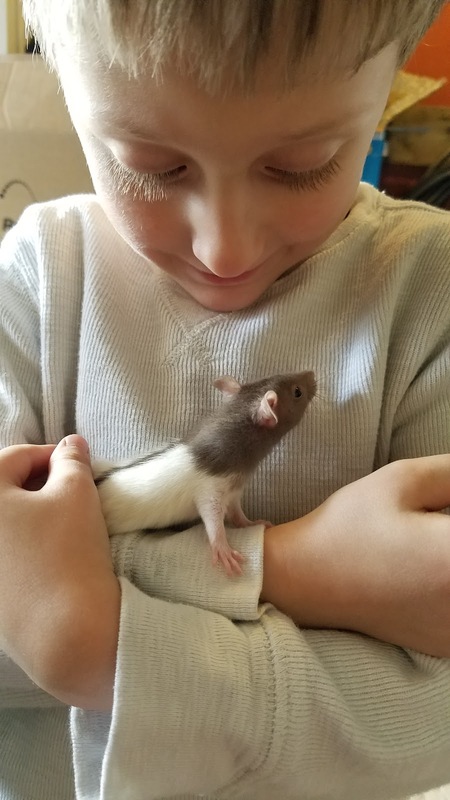 Parents tend to be the most nervous around our pets, and I love hearing the students calm them down and show them how to be gentle and calm so that our rats aren't scared of them. The rats perch on student's shoulders during Mystery Skypes, and cuddle in the hoodies of their sweatshirts whenever they get a chance. They are great reading companions for when my students read-to-self, and I have seen them put a smile on a student's face who is just having a rough day. My students love our rats, and I do too. If you want a classroom pet that promotes student engagement, responsibilty, learning, and fun, then I would highly recommend looking into rats. I have to admit they really are the perfect classroom pet. Your students are so lucky to have an open-minded teacher, who is always learning, always willing to try something new. The rats really are a great addition to your classroom.